Looking to Hollywood for inspiration when buying an engagement ring might not be the best way to find something within your budget. However, celebrities are trendsetters and often dare to be different, so a little stargazing can help you with ideas. It might come as a surprise to some people, that while most celebrity Diamonds are huge, they are often fancy cut, meaning not Round Brilliant. Celebrity engagement rings come in a mix of vintage rings retrieved through auctions, and new rings that are custom made to look vintage. For that perfect art deco look, explore the Asscher Cut Diamond. Elizabeth Taylor is famous for her numerous engagement rings, all of them being more than double-digits in size! 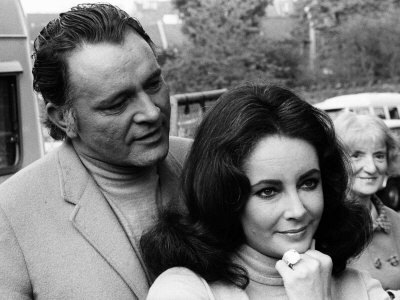 In 1968 Richard Burton gave Taylor The Krupp Diamond, a 33.19ct Asscher Cut flanked with Tapered Diamonds. Today, more than 40 years later, the Asscher cut Diamond is as popular as ever and seen on many young celebrities. The Asscher cut was created in 1902. It has its own characteristics, but is often called a square Emerald cut. It has cropped edges, which makes it look almost like an octagon. Being a step cut stone, the facets are longer, hence not as brilliant as a Round Diamond. The beauty of the Asscher cut lies in its unique shape, which makes it stunning even in a plain solitaire setting or surrounded with Diamonds, like Ashley Simpson’s engagement ring, above.